Home » Lifestyle » What is the full process for applying for ESTA approval? 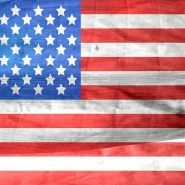 If you are a citizen of a country that does not need to apply for a visa for entry into the United States, you still have to apply for approval into their ESTA program before you are allowed to enter the country. 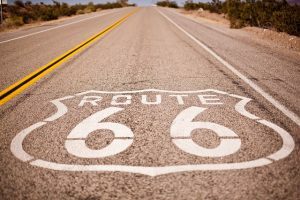 ESTA application is easy and fast, but you will still need to know what the full process entails before you start to do it and hit the Route 66. Gather your supplies — The ESTA application can be done online, and only takes a few minutes to complete and submit. You will need to have your passport with you, as well as all the contact information for anywhere you may be staying, which includes hotels, camp sites, hostels and even the homes of friends and family you may have in the United States. You will also need your employer’s work address and phone number, as well as an accurate amount of how much you make every year. How do you pay for an ESTA application? — Paying for an ESTA application is easy as the United States government allows it to be paid via credit card directly with your ESTA application form. When should you apply? — It depends on what you think your chances of being accepted for the program are. In other words, if you think there is no reason why you should be rejected for ESTA, then you can apply up to 72 hours before you leave as approval will be sent to you within 24 hours. If, however, you feel like you may be rejected and will need to apply for a proper American visa instead, you will want to apply several weeks before your flight to the U.S. leaves. That way, if you do get turned down, you still have time to apply for a proper visa to the U.S. so that you will not miss going on the trip you have already paid for. How much does the application cost? — You may have heard that it is free to apply for the ESTA approval. In reality, that is no longer the case, as the American government now charges $14 for every ESTA application that you make. As this is still much cheaper than having to pay for an actual visa, it should not be too much hardship for you. How long will your ESTA be valid for? — Once you have an ESTA, does that mean you can go to the U.S. as many times as you like without having to apply for another one? No, it actually means the ESTA approval you now have will be valid for up to two years. During that time, you can come and go as often as you like, as long as you do not stay for longer than 90 days every time. If you do, your ESTA approval immediately becomes invalid upon departure from the United States. You will then have to apply for another one if you want to be able to go back again, and want to do so legally.